Mark Lukach is the internationally bestselling author of My Lovely Wife in the Psych Ward (Harper Wave), a heart-wrenching, yet hopeful, memoir of a young marriage that is redefined by mental illness and affirms the power of love. Lukach first wrote about Giulia and her bipolar diagnosis in a New York Times “Modern Love” column and again in a piece for Pacific Standard Magazine, which was the magazine’s most-read article in 2015. 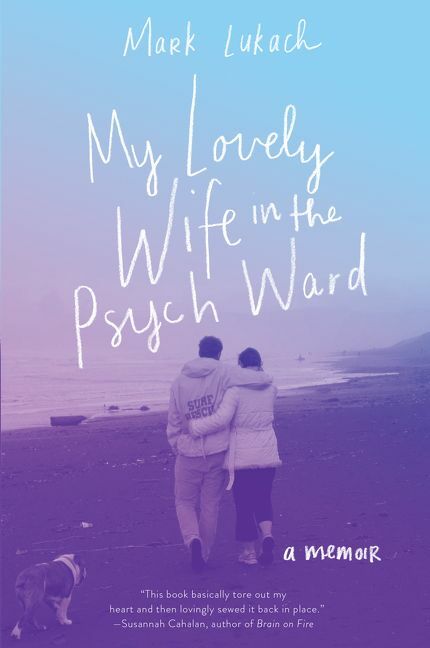 A story of the fragility of the mind, and the tenacity of the human spirit, My Lovely Wife in the Psych Ward is, above all, a love story that raises profound questions: How do we care for the people we love? What and who do we live for? Breathtaking in its candor, radiant with compassion, and written with dazzling lyricism, Lukach’s is an intensely personal odyssey through the harrowing years of his wife Guila’s mental illness, anchored by an abiding devotion to family that will affirm readers’ faith in the power of love. 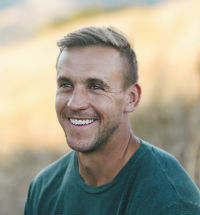 Through messages of hope, love and advocacy, Lukach addresses audiences at universities, business, schools, hospitals, and mental health organizations on how to approach and engage with mental health. His work has been published in the New York Times, The Atlantic, Pacific Standard, Wired, and other publications. In addition to his work as a writer and public speaker, he is currently the ninth grade dean and a history teacher at The Athenian School. He lives with his wife, Giulia, and their two sons in the San Francisco Bay area. "Lukach’s rare combination of tenderness and ruthlessness is what makes this book more interesting than your typical illness narrative." "I’m glad this book exists...My Lovely Wife in the Psych Ward is about a relationship working through crisis. But it’s also the psych ward story told through the eyes of the caregiver. Because so often, we only think about and talk about the person who’s sick—never the ones on the sidelines." --Book Riot, "How a Book Taught Me to Be a Better Partner"
"Mark has written a dazzling, loving, and hugely courageous book about his and Giulia's experience. It is remarkable in its honesty about how psychosis affects every member of a family...this book, ultimately, is not just about the fragility of the mind. It is also about the strength of the human spirit--and the persistence of love." "Mark Lukach's memoir of his wife's recurrent psychotic breakdowns, and the way each episode forces them to reshape their marriage and commitment to life, is riveting. It's rare to be invited into the heart of a marriage, and rarer still to find a writer who can capture the self-abnegation and fierce love central to the enterprise without devolving into competition, self-pity, or sentimentality. With its hard-earned empathy and articulation of difficult truths, My Lovely Wife in the Psych Ward is reminiscent of Dani Shapiro's incandescent Hourglass."